The alliances, party leaders hope, will not only help Congress candidates perform better but will also help it to form a post-poll coalition. After much uncertainty, the Congress has finally succeeded in putting in shape alliances in some states for the Lok Sabha battle, with a functionary saying it will be the “most alliance friendly” election for the party. After being in power in Karnataka along with the Janata Dal-Secular (JD-S), the Congress has formed major alliances in Tamil Nadu, Jharkhand, Bihar, Maharashtra and Jammu and Kashmir. The Congress is largely contesting alone in the politically crucial Uttar Pradesh after being rebuffed by the Samajwadi Party and Bahujan Samaj Party (BSP). And its talks with the Left in West Bengal have crashed and there is also uncertainty over a tie-up with the ruling Aam Aadmi Party (AAP) in Delhi. In Assam, AIUDF appears keen to shake hands with the Congress to avoid a split in opposition votes. 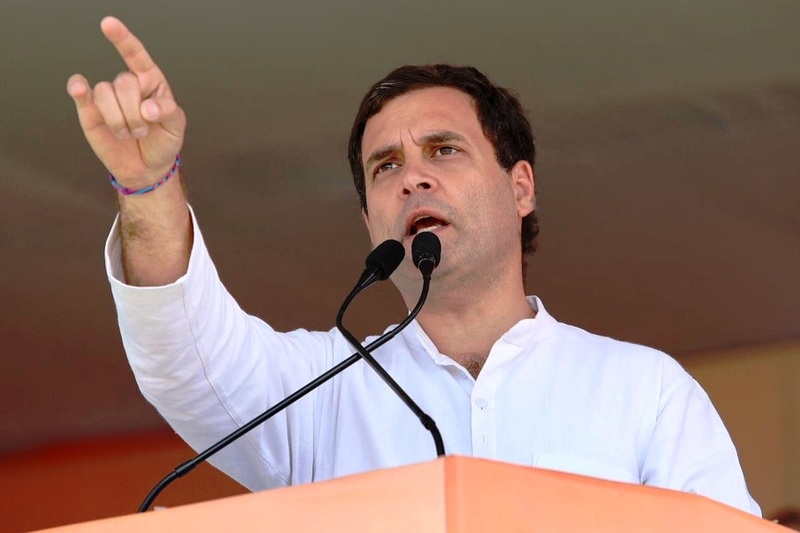 Praveen Chakravarty, Chairperson, Data Analytics Department of Congress, said the Congress will concede the most number of seats to allies and contest the fewest number in this parliamentary election. “Amidst all the din, 2019 will be the most `alliance friendly’ election for @INCIndia. With just the already announced alliances, it will concede the most number of seats to alliance partners and contest its fewest number of seats in a Lok Sabha election ever,” he tweeted. The Congress had reached out to opposition parties in a major way in 2004 to oust the Atal Bihari Vajpayee government. The party contested 414 seats, its lowest number since 1996, and the carefully crafted alliances helped the party get a surprise result and form a coalition government. The Congress-led alliance was re-elected in 2009. Congress leaders are hopeful of a similar outcome in 2019. The Congress contested 529 seats in 1996, 467 in 1998, 451 in 1999, 414 in 2004, 440 in 2009 and 464 in 2014. The party has so far declared candidates on 218 seats for the 2019 Lok Sabha polls. The party will fight nine of 40 seats in Bihar, 26 of 48 in Maharashtra with two seats being given to smaller parties, 20 of 28 in Karnataka, seven of 14 in Jharkhand, nine of 39 seats in Tamil Nadu and at least four in Jammu and Kashmir, including two where it will have “friendly contests” with its ally, the National Conference. The nitty-gritty of alliances in Bihar and Maharashtra were announced only in the last two or three days and the time taken in reaching the tie-ups could impact campaigning by the candidates. The Congress has come up so far with eight lists of candidates. But its alliance talks with the CPI-M in West Bengal have crashed as both parties are keen to fight Raiganj and Murshidabad seats. The CPI-M has announced 25 candidates in its first list in West Bengal, leaving the Congress unhappy. In Uttar Pradesh, the Congress is hoping for a revival after having performed very poorly in the last Assembly and Lok Sabha battles. Congress General Secretary Priyanka Gandhi undertook a boat ride from Prayagraj to Varanasi to bolster the party’s prospects. The party has sealed an alliance with the Krishna Patel-led faction of Apna Dal. It has left two Lok Sabha seats — Pilibhit and Gonda — for it. In Kerala, the Congress heads the opposition United Democratic Front (UDF) and there is no squabble in ticket distribution. Congress strategists feel that some opposition parties, fighting on their own in states, will join hands with it after the Lok Sabha polls if there is an opportunity to keep the BJP out of power. Lok Sabha elections 2019: Will spoilers queer Tamil Nadu pitch?